I remember the parlour. We only were allowed to enter when there was a death, celebration, or when the insurance man visited. It was full of important things, like souvenirs of distant travel, and brass candlesticks, framed family photographs of rites of passage, a miner’s lamp my dad had made to pass his apprenticeship, everlasting flowers and decorative alcohol on a shiny tray. A transparent plastic runway protected routes across the carpet. 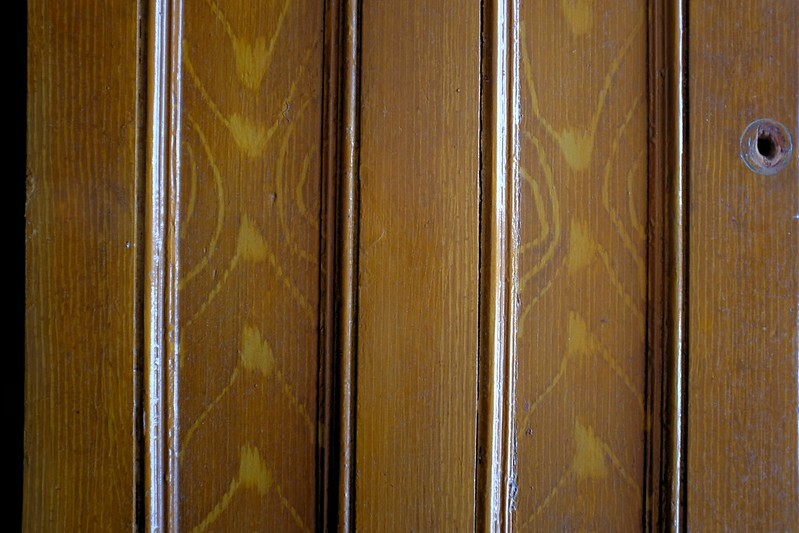 My grandmother had painted the alcove cupboards with wild amber patterning that cavorted over the panel doors. They were hallucinogenic, a hyper-real simulation and sort of wood-like. I loved those doors. She was proud of her wood-graining paint skill. She showed me her tools: a fragment of a fine-toothed nylon hair comb, a beer bottle cork, a ragged home-made cartoon-toothed comb scissored from something plastic, a wide brush and a rag. In one of many demonstrations, a dry off-white ground was covered by a translucent amber topcoat, and this combed through with a wobbly hand in a performance of an imagined wood figure; thick and thin. The dabbed cork added an approximation of the whorls, eddies and knots typical of heartwood in plain-sawn timber. The rag added smudges, the brush softness. Several houses in the village contained her handiwork. I could recognise her contributions because all the wood patterning looked the same, more or less. I'm not sure where she learnt her skills. How did she learn them? While low on the grey-scale of paint effect specialists, my grandmother was, like all enthusiasts, enamoured with her specialism. She loved explaining the process to family and friends, loved painting things with her wood effect, loved refining her tools and swapping tips with others. Although now, now I remember that it was my grandfather who decorated all the rooms that needed decorating, with wallpaper, brushes, paste, rollers, paint and the Formica topped kitchen table. 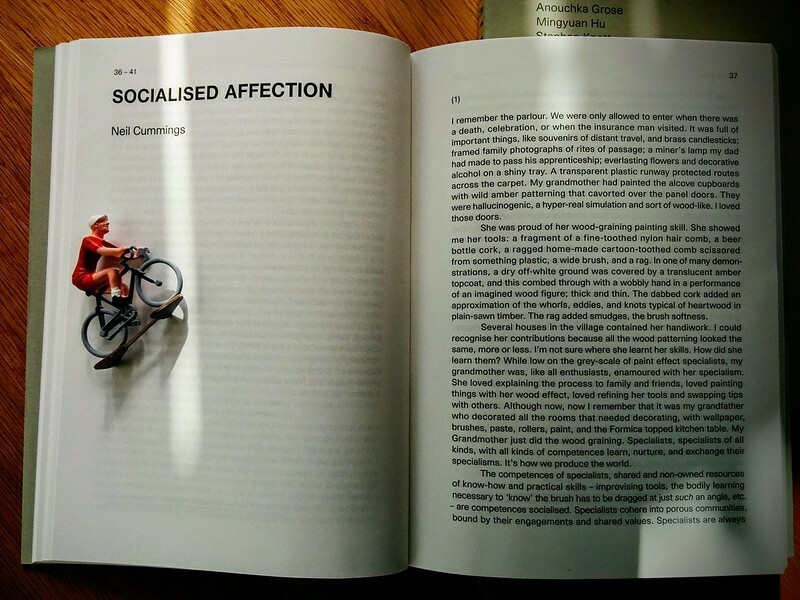 The publication was launched at the Royal College of Art, in the Senior Common Room on Friday April 15, 6-9pm.